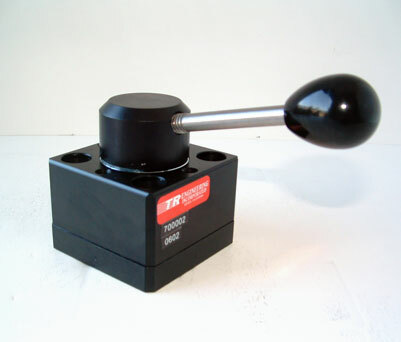 DC Series Directional Control Valves by TR Engineering, Inc.
TR Engineering's DC Series directional control valves are ideal for applications where extremely low leakage and high reliability are mandatory. 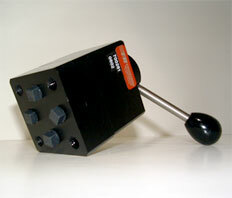 They are widely used for ground support and for hydraulic systems. DC Series valves weigh approximately 2½ pounds each. NOTE: Mounting is not a standard pattern. 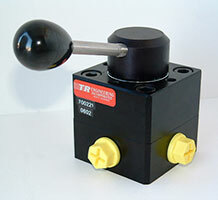 Click Here to view installation drawings for DC Series Directional Control Valves. NOTES: Develop directional control valve model number from above table.